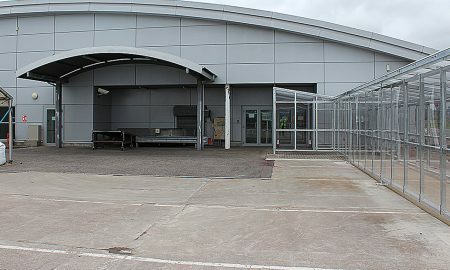 Broxap won the contract to supply Keir Scotland with an airside walkway to the work they were undertaking at the new extension at Inverness Airport. 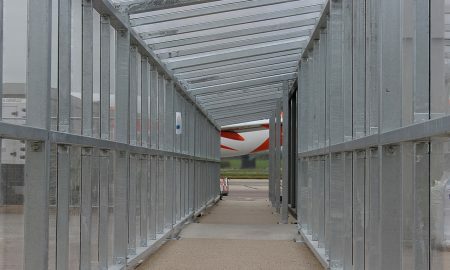 The walkway is an airside structure and is used by passengers embarking and disembarking commercial aircraft a the new airport extension. 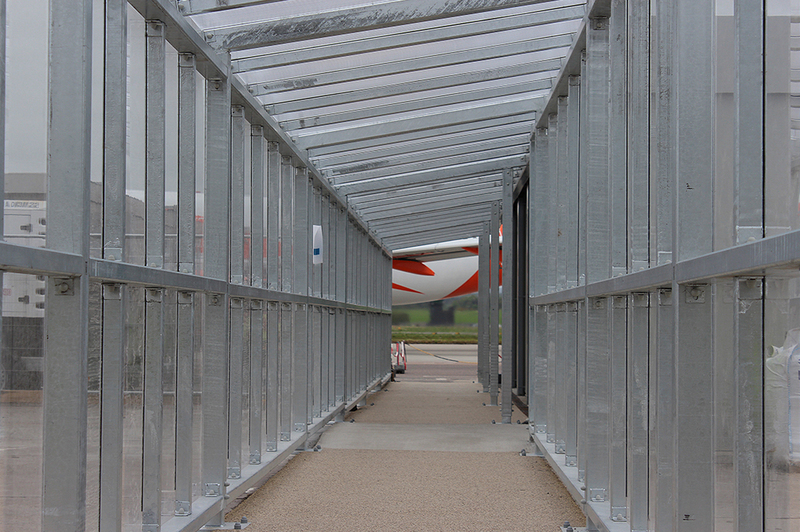 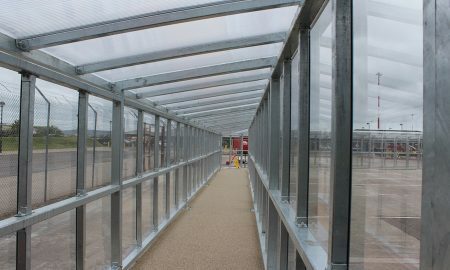 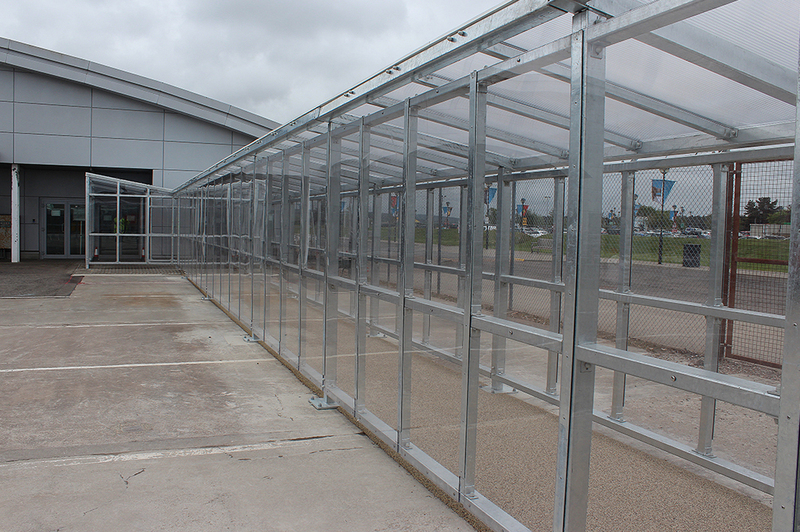 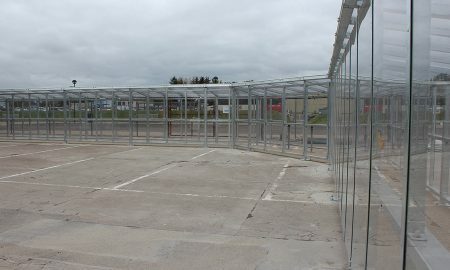 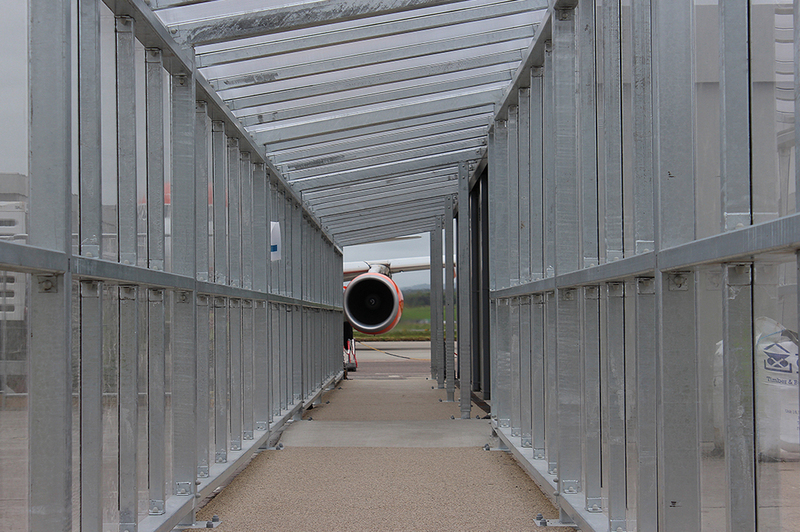 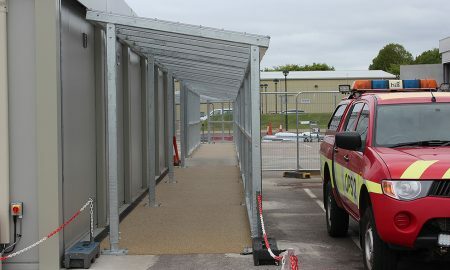 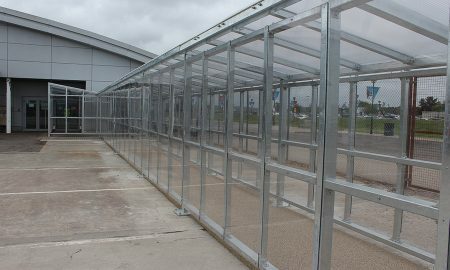 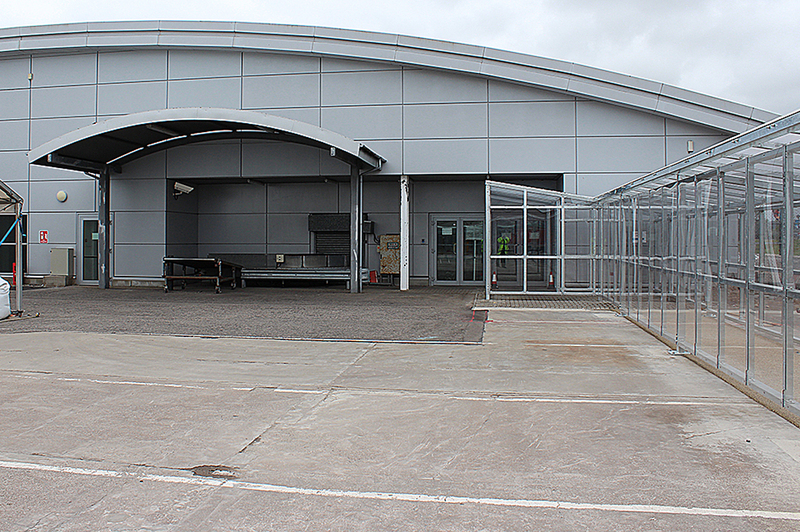 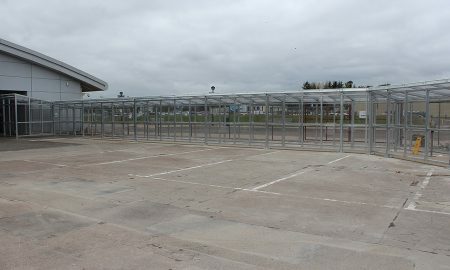 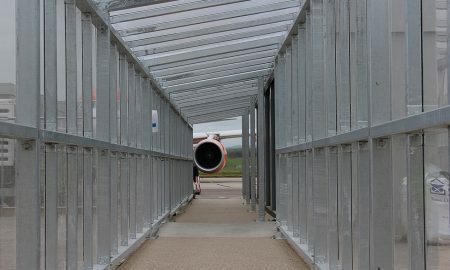 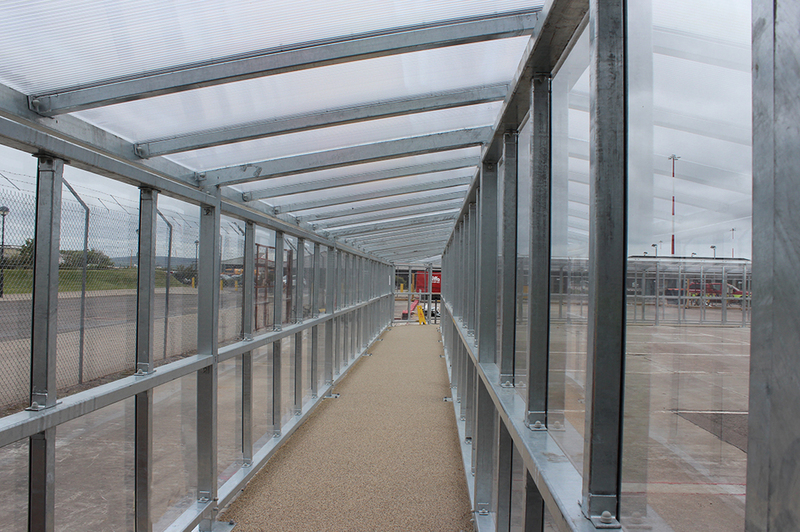 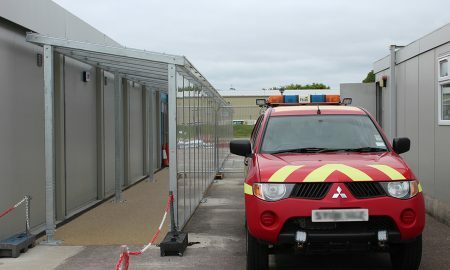 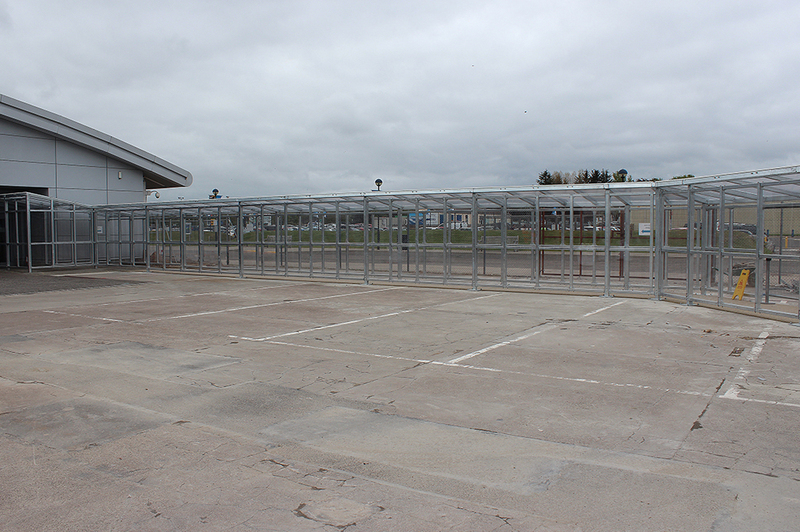 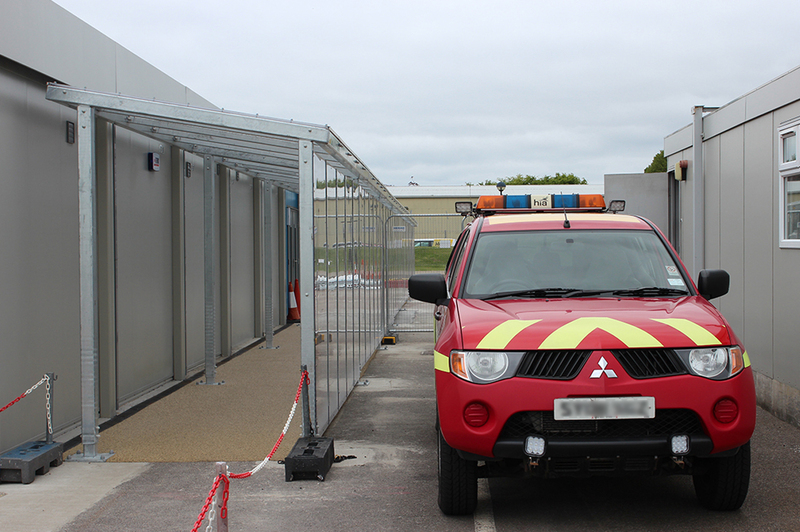 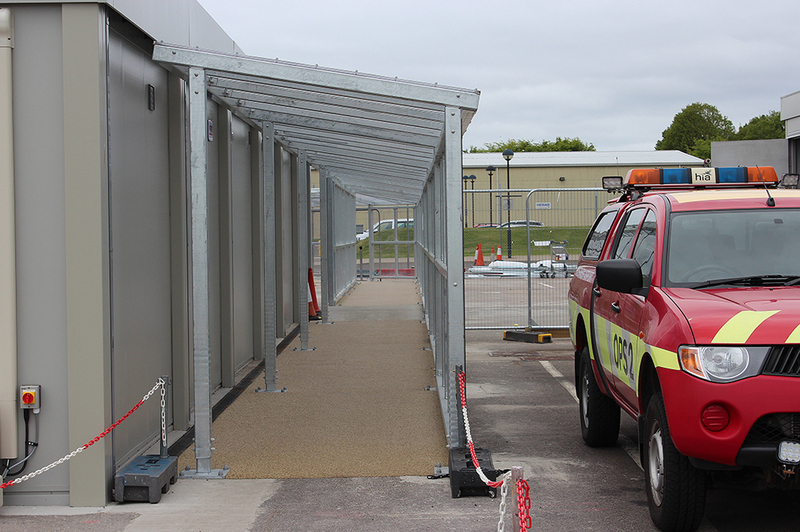 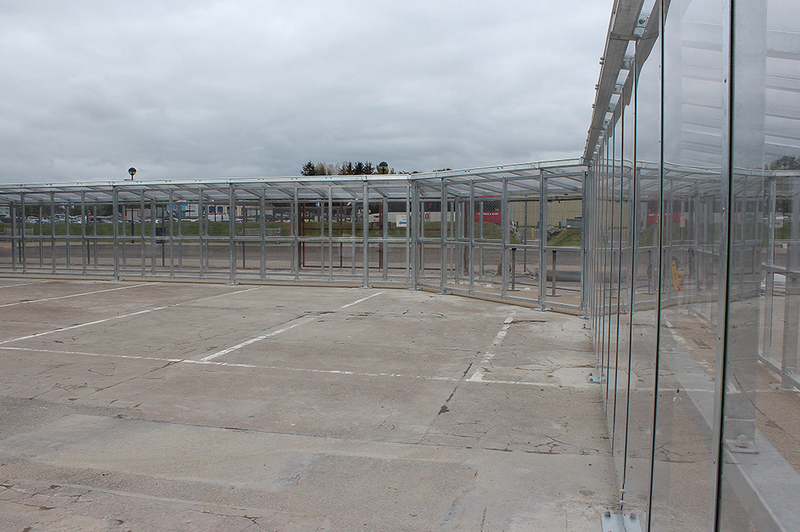 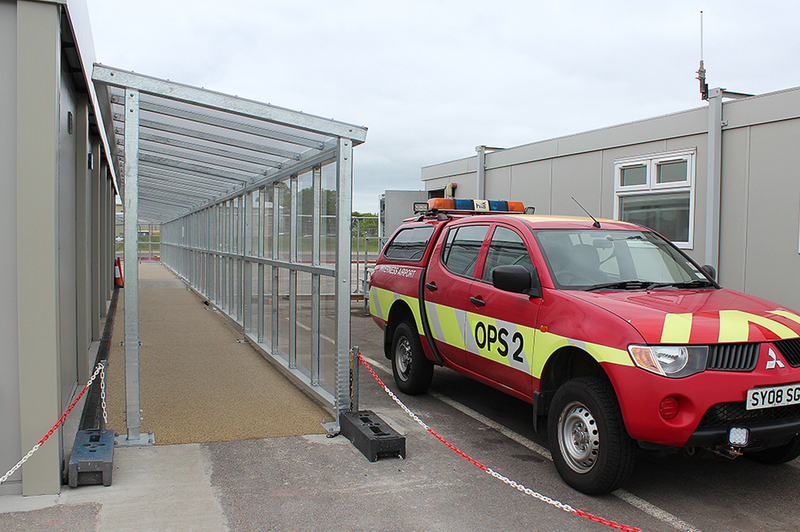 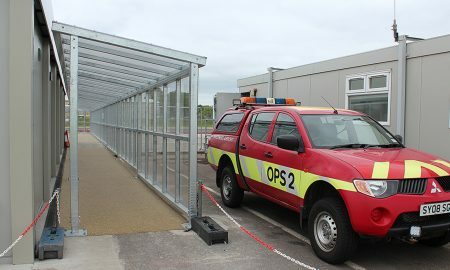 The deadline for the design, manufacture and installation of this covered walkway was extremely tight with the airport extension due to be officially handed over on May 17th 2016, this meant a fast tracking of all aspects of the project through Broxaps’ Design and Build facilities to execute the project in only 8 weeks (this type of project usually took 12-14 weeks). 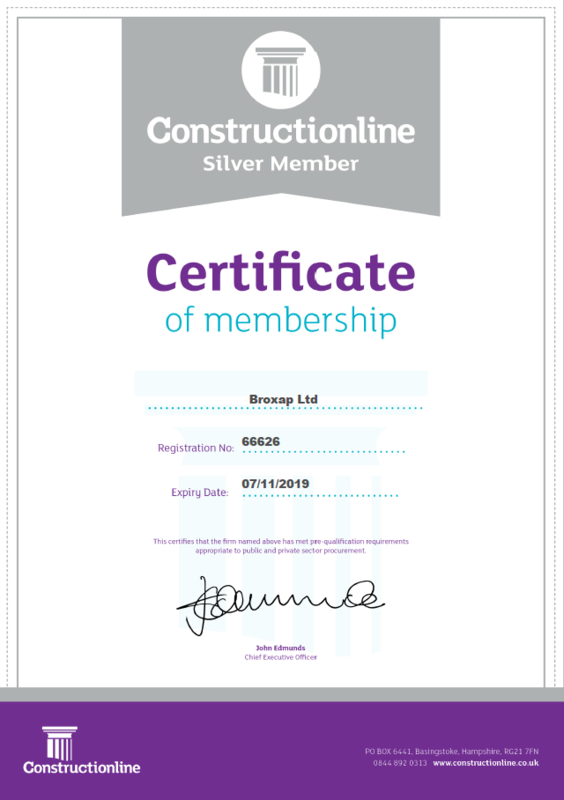 From date of order on 18th March to delivery to site on 6th May until completion of the project on the 16th May all elements of the project were stringently overseen by key Broxap staff to ensure the short deadline was met and the project delivered on time and on budget.